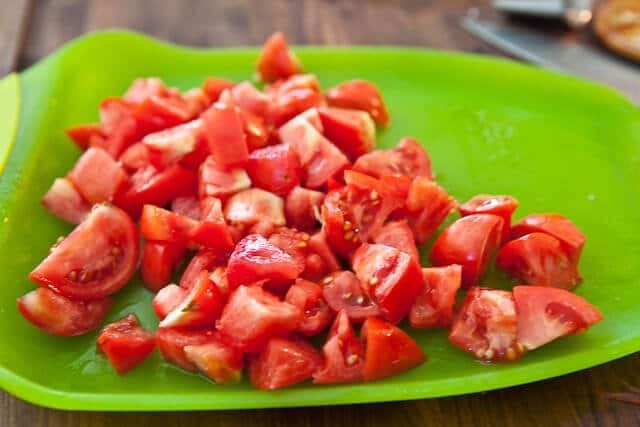 A couple of weeks ago, I hosted my buddy Hank Shaw of the award-winning Hunter Gardener Angler Cook at our home and hit 2 out of the 4 activities from his blog name: fishing and cooking. If you must know why those 2 specific activities, our garden is winding down for its summer rest and hunting involves either a gun, spear, snare or crossbow – none of which I know how to use. Hank is traveling the U.S. as part of his book tour for Hunt, Gather, Cook: Finding the Forgotten Feast, where he will be visiting each of the 50 States to experience each native species. For us here in Florida, we were out to snag a grouper. You can read about our experience on my blog post. Oh, and if you have a chance, you must read the glowing review by the NY Times of Hank’s book. Not only did we catch the grouper – but also (from left to right): Bonito, Grouper, 5 Amberjack, 3 Snapper. So what do you make with all this fish, but more importantly the heads and tails of fresh fish? 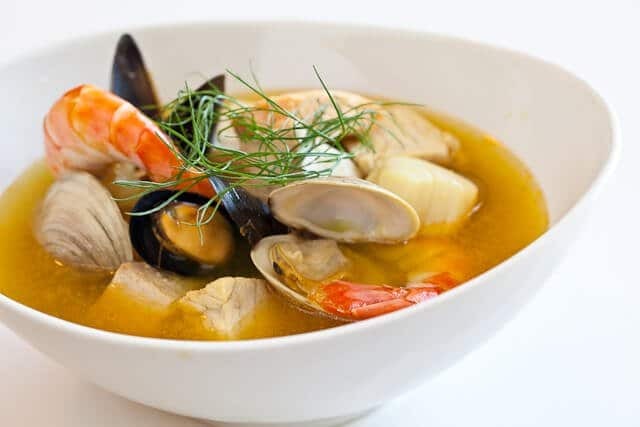 Bouillabaisse, of course. 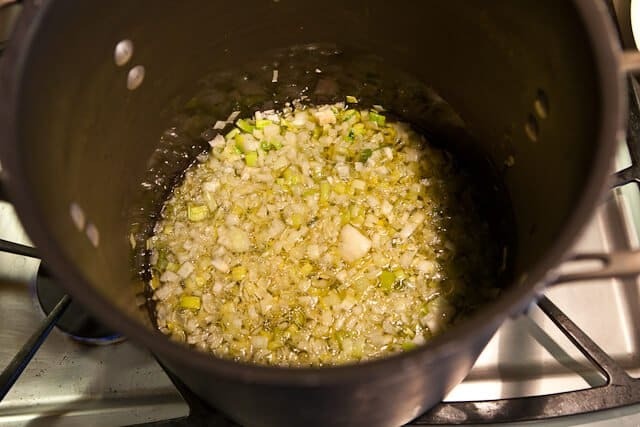 You start with leek, onion and garlic – and saute in olive oil. Just a few minutes over medium heat is all you need. 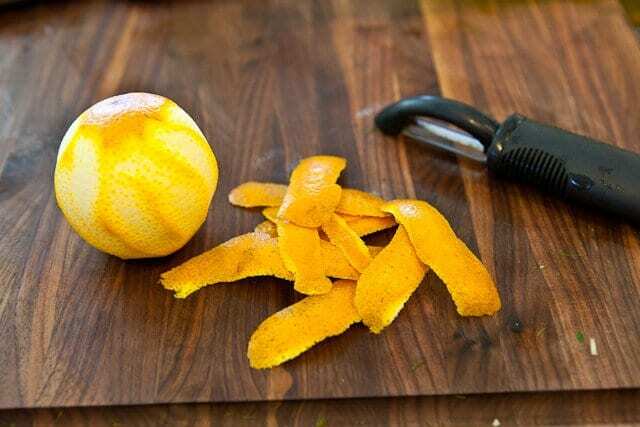 Use a vegetable peeler to peel strips off the orange. This is saffron that I’ve gently crushed with my fingers – I want to get the saffron threads into smaller pieces, almost in a powder form. Observe the stigma, the tiny strands at the flower’s center, of any crocus in your garden, and you’ll begin to understand why saffron is so expensive. It takes 220,000 dried stigmas from a specific variety of crocus, Crocus sativus, to make one pound of saffron. The flowers appear over a two-week period only, usually in October. 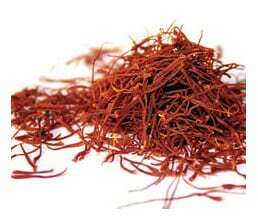 Saffron is available as strands and also ground. The deep orange red color and unique flavor of the famous Spanish rice dish paella, the Indian dessert kheer and French seafood soup bouillabaisse are the work of tiny saffron threads steeped in liquid during cooking. Used both for color and flavor, saffron is a prized spice in Mediterranean, North African and Asian cuisines and in bread and pastries around the world. Originating in the Middle East, this spice is planted, harvested, dried and packaged by hand. Today, Iran is the largest producer, while India and Spain are much smaller growers, Spain holds the honor of producing the highest quality saffron. Cultivated in Southern Europe since the 3rd century or before, saffron has found use in medicine, religious offerings, perfume, make-up, potpourri and, of course, cooking. 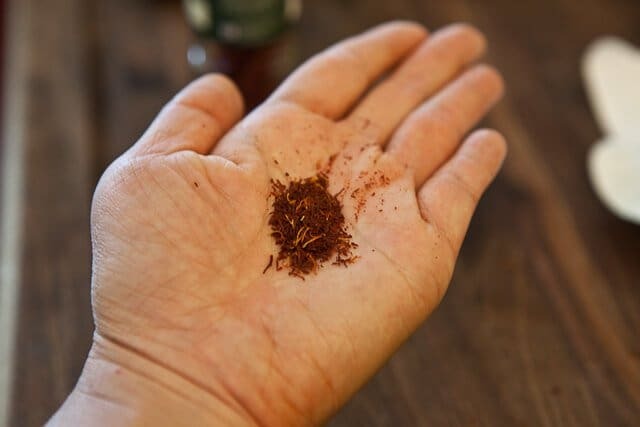 Its vivid orange red color gives it great use as a fabric dye, which makes it humorous to imagine what Greeks and Romans must have looked like after using it perfume luxurious baths. 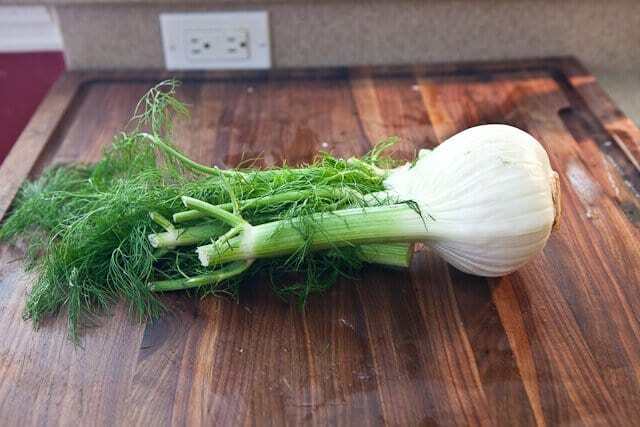 Throw everything into the same pot that has the leek/onion/garlic, water, wine along with the fish trimmings. I’ll spare you the photo of the fish trimmings. After simmering for 30 minutes, strain the bouillabaisse into another pot. Now let’s talk about seafood. 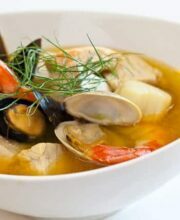 You can use whatever you want, though traditional Bouillabaisse recipes will call for 3 different kinds of fish along with shellfish. 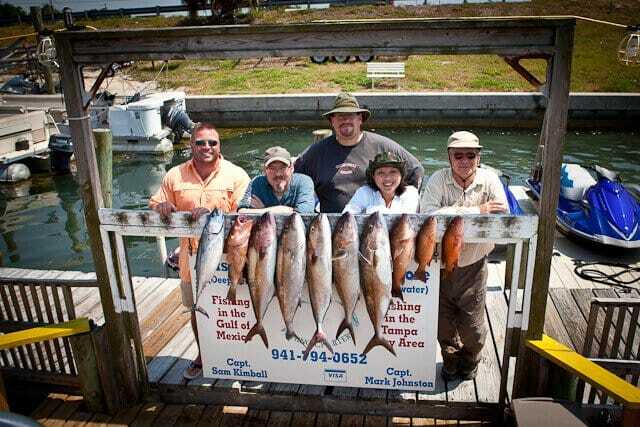 I used Amberjack and Grouper (from our fishing trip), salmon, shrimp, scallops, clams and mussels. 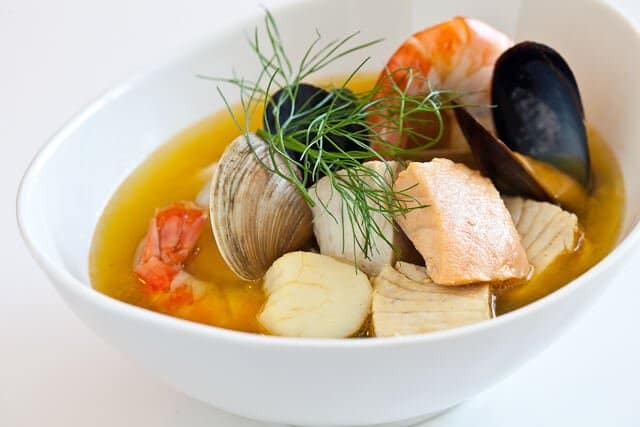 Okay, I went a little overboard 🙂 Bring the strained Bouillabaisse soup back to a simmer and cook the seafood for just a few minutes. 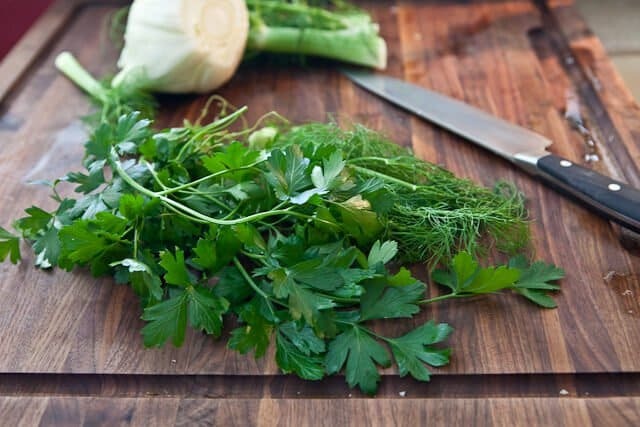 Ladle into bowls, garnish with fennel and serve. 1. 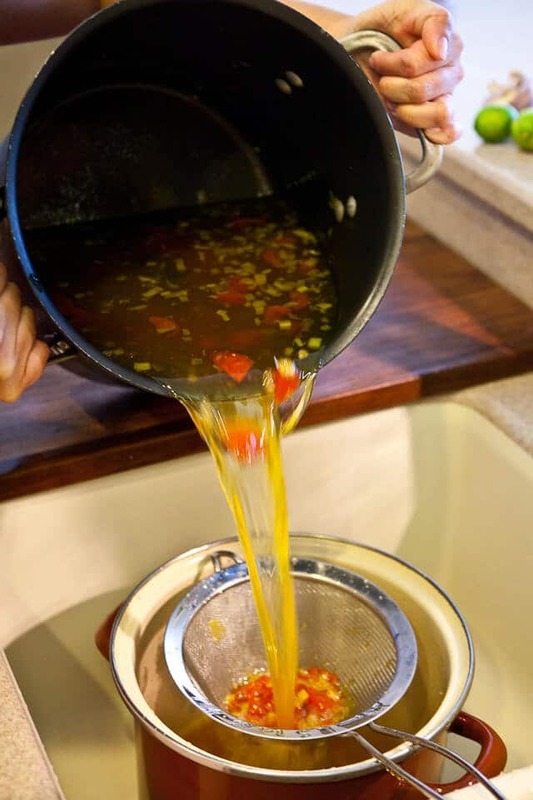 In a large stockpot, heat the olive oil on medium heat. 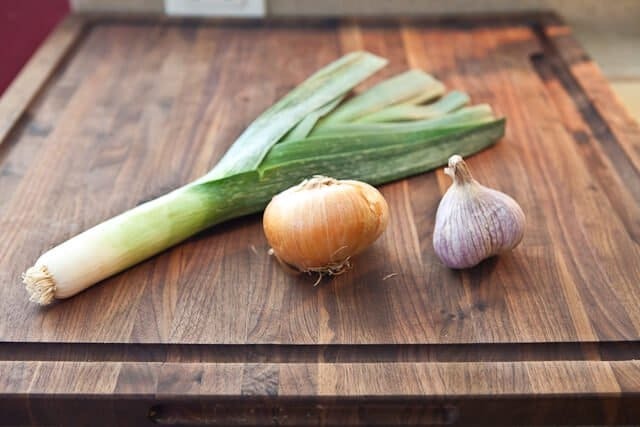 When hot, add in the leek, onion and garlic. Saute for 5 minutes until softened but not brown. 2. Add in the orange peel, tomatoes, fennel, fresh herbs, saffron, fish trimmings, water, wine, salt turn the heat to high and bring to a boil. Then turn the heat to low and simmer for 30 minutes. Strain the soup into another large pot. 3. Bring the strained soup to a boil over medium high heat. Taste and adjust with additional salt if needed. The soup should be slightly salty (remember we still have unseasoned seafood to add into the soup). Now we'll cook the seafood, adding in the items that require the most cooking time first. If you have whole lobster tails or large crab claws, add them in first and give them a 2-minute head start. 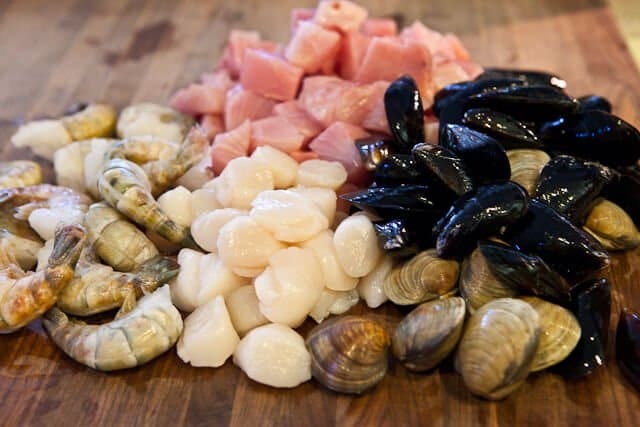 Clams next, then the mussels and extra-large shrimp, lastly the fish, scallops and any smaller shrimp. You want to be careful not to overcook the seafood, so 4-5 minutes max then turn off the heat. 4. 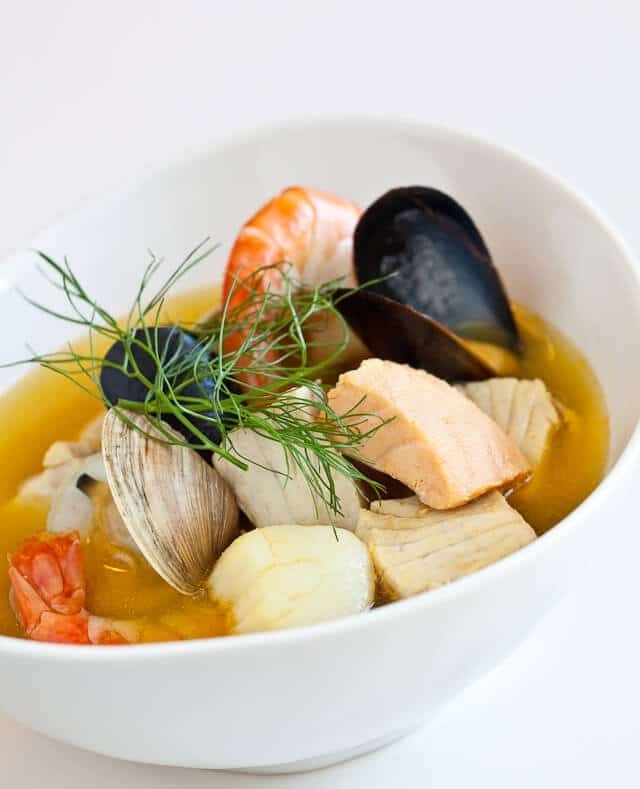 Ladle bouillabaisse into each bowl with the seafood and garnish with fresh fennel fronds.